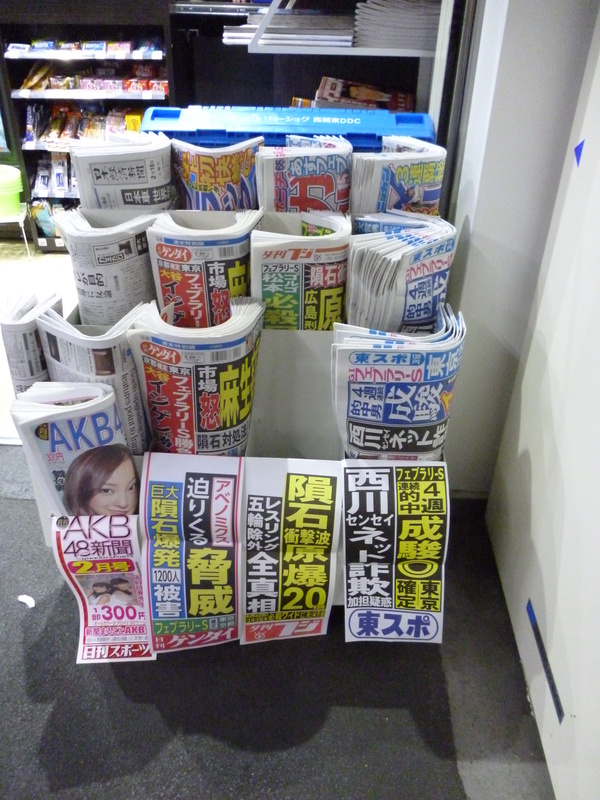 Japan has three major newspapers: The Yomiuri, The Asahi and The Mainichi. In these newspapers, the news of incidents, serious articles and opinions about political, economic and cultural matters are written like The New York Times in the United States. In many cases, people receive these newspapers by home delivery. Every day, each newspaper publishes several million copies. On the other hand, at shops in the city, sports newspapers are sold. 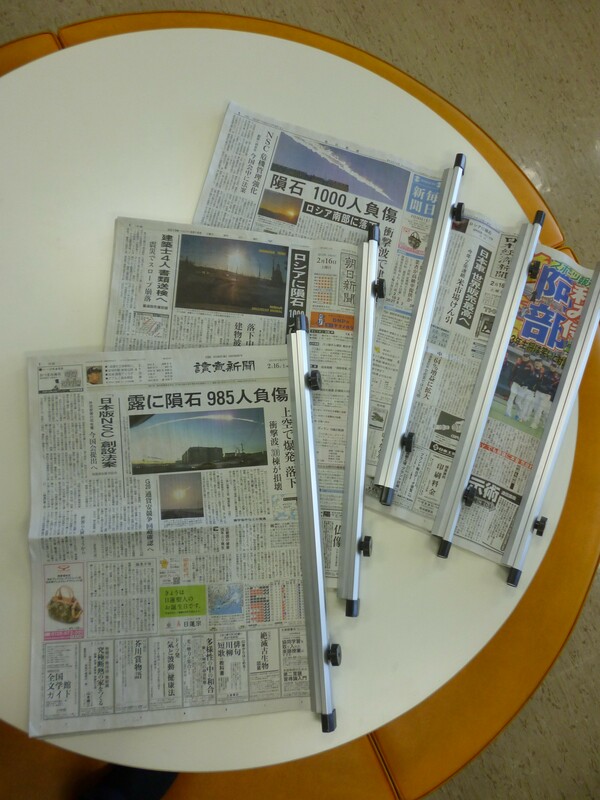 In these newspapers, articles about popular sports in Japan, such as baseball and football, or gossip and photograph about celebrities, such as popular singers, actors and actresses can be read like in British tabloids. Posted on February 20, 2013 by gjveep	• This entry was posted in Kogyokusha Boys School. Bookmark the permalink.